I'm so happy that we're finally starting to get a bit of spring weather here! I'm absolutely loving trendy bright pastels this spring like mint, coral and ice blue. I have so many spring skirts and dresses on my wish list, like this one from Simons, so I'm glad the weather is finally catching up. I love that mint has stuck around as a spring trend another year, and this little shift dress is surprisingly versatile. Here, I've styled it as a more casual winter-to-spring transitional look, but one of these days I'll dress it up on here too. Today is the last day to enter my giveaway for $50 to Red Apple Lipstick! Enter below, or check out my giveaway post for more information. Winner will be announced on Wednesday. OMG LOOOOVE THIS! so freakin cute girl that color is amazing! I am completely charmed by the beautiful colour of this dress and the silhouette is so elegant, you look stunning! Thanks for taking the time to visit...May your week be creatively composed. 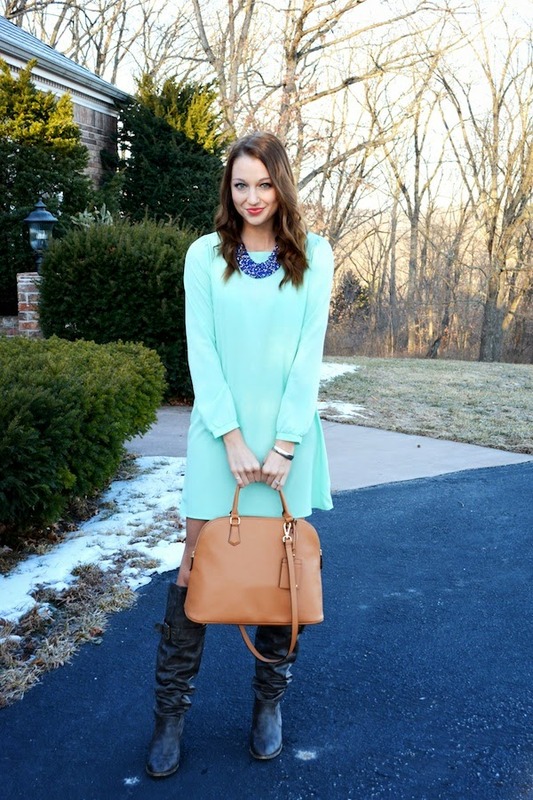 that little mint shift dress is so so cute, you look adorable. Mint looks great on you! I love that dress and the color is so pretty on you!!! Your dress is the cutest! Love the color! Love the mint shift! I have been obsessed with all things mint for like 2 years now. Such a cute look! 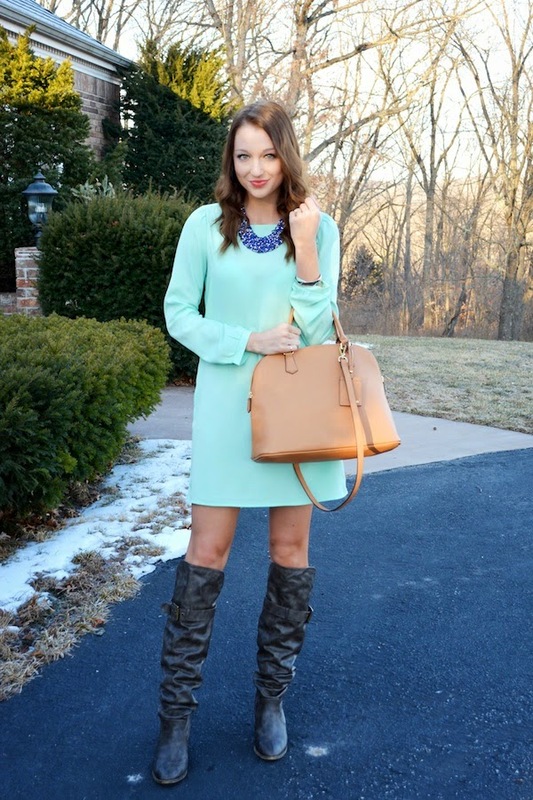 I just love this mint dress on you! The color is so fresh! Love the bright cobalt necklace against the mint necklace. Makes me feel like spring is alllmoooost here!